Meet The Guild Hub, a co-working space in the centre of Bath which has just celebrated it’s 5th birthday. In exchange for support from Bath Spa University, The Guild offer ‘out of hours’ access to their students who are working on a side gig. It’s hard to make students aware of opportunities, and even harder to get them to signup. 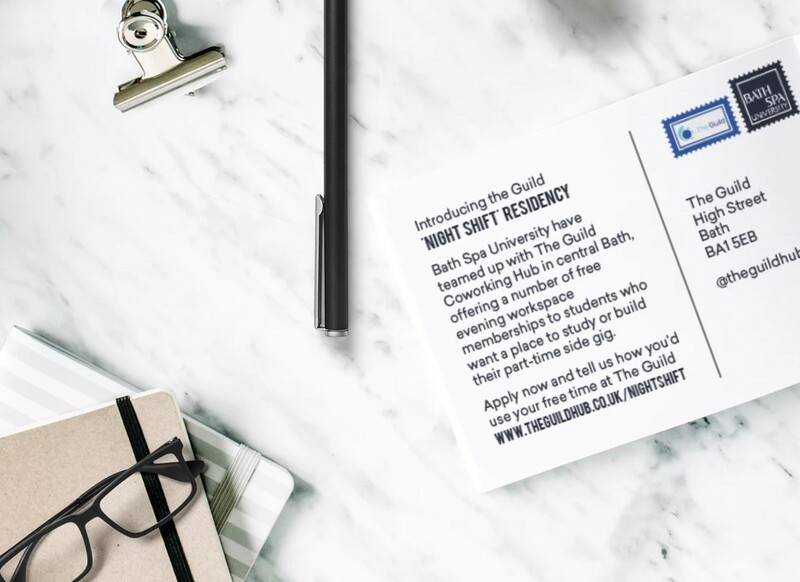 Ahead of the Bath Business Bus bringing Students to the Guild, we worked with Tom to create postcards to hand out advertising the opportunity. 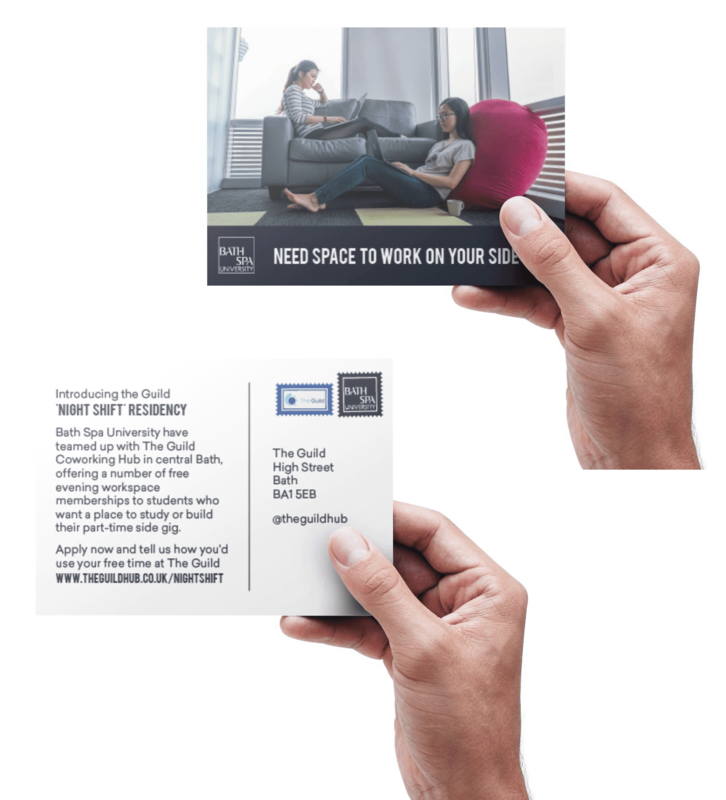 The front is a big image of students working on a less than ideal sofa, and the back had a snippet of information with a call to sign up. Thank you. Amazing client experience as always! Working with Kat is brilliant. She gets what I’m after first time and turns projects around fast, it’s rare to find someone who can do that.